Even though it's not his heart language, Pastor A always preferred to read in French. When he did read in his own language it proved a challenge because of a lack of literature in his mother tongue. But after 30 years of hard work, the New Testament in Tamajaq is complete. The translation process was complicated and required the collaboration of many. A work of this magnitude necessitated a large team, significant prayer and steady finances. It is wonderful to celebrate this victory with our brothers and sisters in Christ. Now that the New Testament has been translated, Pastor A's ability to read his native Tamajaq has improved significantly. This is now the only version of the Bible he reads and preaches from and he spends time reading it daily. What a blessing for him and his congregation. "It was a large task, but in each moment of weakness we entrusted ourselves once again into God's hands," said a translation team member. "The Word of God is life for us. How can people understand His word if it is not in their heart language. It is a miracle that testifies to the greatness of Christ who loves every language and desires to be praised in each of these languages." Multiple Tamajaq believers shared their joy with the team and gave glory to God during the joyous celebration. "The whole world benefits every time the word of God is translated into a new language," said a local believer as he stood to read from the new translation. "It is through God's word that we learn how to have a relationship with Him. We rejoice because we have His word in our hands, and today it is now even in our language." 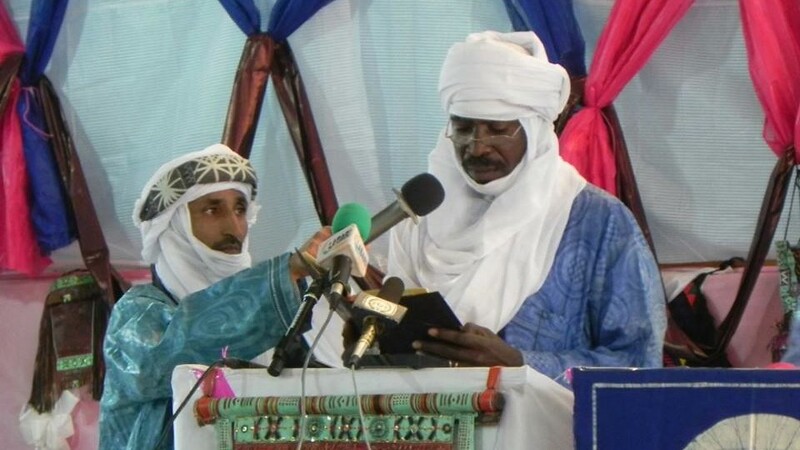 "It is a great day for the Nigerien Church," said another local believer. "We congratulate the translation team, but the translation is not the end, now we must read the word! Every believer, no matter their job, can use this word to bring our nation towards Christ so that salvation can be found. God will use this translation to reach others through us." so that I can better share it with others. This was a song of local believers as they worshipped God in Tamajaq. It was one song of many the large choir beautifully performed to honor God. Many brothers and sisters were blessed to experience such great joy that day. Numerous other peoples and languages of Niger came to mark this celebration with their Tamajaq brothers and sisters. To close, many joined together at the front in prayer. They prayed, thanking God in many languages, a moving sign of unification for the believers of Niger. But the work is not done. Join us in praying and fasting for the Tamajaq people, that God would use His word to break through the darkness and touch their hearts with His light!